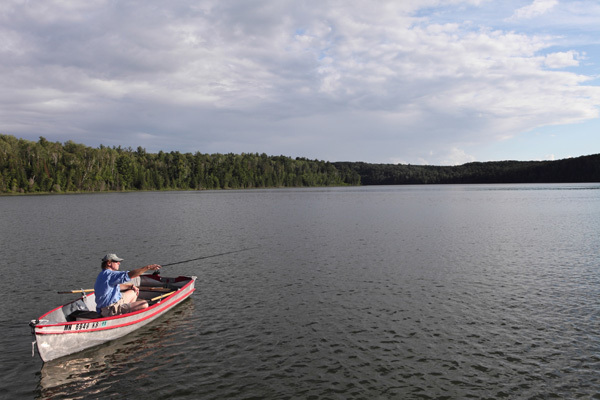 La Salle Lake is Minnesota's second-deepest lake and the land surrounding the lake is remarkable for its biodiversity with several types of forest and stream-fed wetlands that provide habitat for many species of fish and wildlife. In October 2011, The Trust for Public Land helped conserve 1,000 acres surrounding the lake, creating connections between existing public lands and expanding opportunities for hunting, fishing, and other outdoor recreation. The new La Salle Lake State Recreation Area will be managed by The Minnesota Department of Natural Resources as a satellite unit of Itasca State Park. Funding for this project was provided by the Minnesota Environment and Natural Resources Trust Fund as recommended by the Legislative-Citizen Commission on Minnesota Resources (LCCMR), the Outdoor Heritage Fund as recommended by the Lessard-Sams Outdoor Heritage Council (LSOHC), and the Parks and Trails Fund.